A video guide that explores five strategies and considerations to make your price segmentation more powerful and profitable. This 8-part course focuses on the critical concepts that B2B pricing professionals need to know. Whether you're trying to figure out where to begin or just want to ensure everyone on your team understands the fundamentals, this course can help. A guide to common marketing communication mistakes that reduce your perceived value and pricing power. Pricing is often the culmination of many decisions made by many different groups across the company. 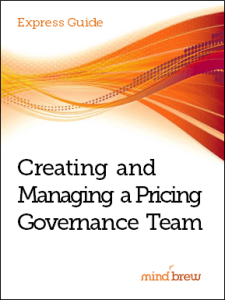 In this guide, learn to embrace the inter-connected nature of pricing in a B2B environment by giving stakeholders a voice. When it comes to value-based pricing, it's easy to get sidetracked by all of the apparent complexity. In this tutorial, learn the fundamental process steps that are crucial for success.